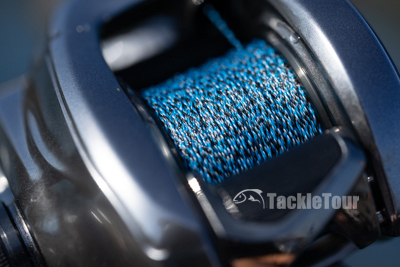 Abrasion: Finatic Pro Series braid falls into the category of braids with a rough texture like Sunline's FX Braid rather than smooth like Daiwa's Samurai Braid. Lines like this are designed to be fish in and around vegetation. 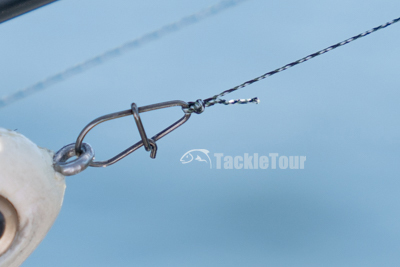 If you're fishing around rocks with any braided line, it's a good idea to employ a fluorocarbon leader of some sort for maximum resistance to abrasion against hard, sharp edges. This is a unique, six-carrier braid. 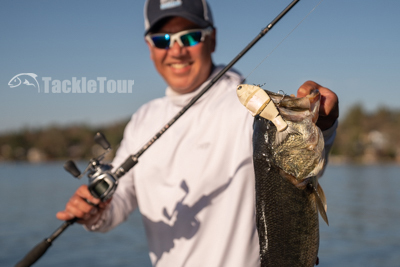 Fished with those limitations in mind, Finatic's Pro Series Braid holds up very well in conditions where vegetation is present and can even hold up to the occasional, uncontrollable, hot headed bass that takes you down into a submerged tree and wraps you around a branch making you worry about your high dollar swimbait more than that turkey at the end of the line. Yes, I lost the fish, but thankfully my Finatic Braid held up long enough to where I could hand the rod off to Zander, and dive in to retrieve my lure. As a side note, this is a side benefit of Aftco's M82 Tactical Shorts - they're made of a quick dry material similar to Surf Shorts, so if you do need to dive in to retrieve a three figure bait, it won't take long for them and you to dry out. Casting performance is really good - especially with this combo. Noise: Of course all braids that come with that rougher texture are going to be noisy through your guides. 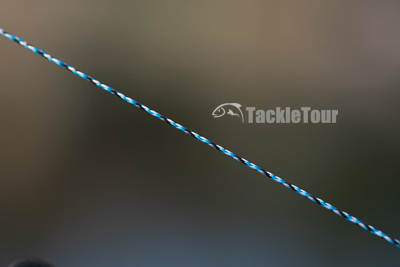 If this is a deal breaker for you, then Finatic's Pro Series Braid is probably not for you. There's really no getting around this characteristic of the line other than to tolerate the distraction as a side effect of the line's really nice casting performance. Performance was very good aboard Abu Garcia's Revo4 Rocket fished in a variety of techniques. Impact/Knot Strength: After several less than favorable experiences with old line on fishing reels, I've become a lot more diligent about making sure I have relatively fresh line on reels I'm fishing and testing. 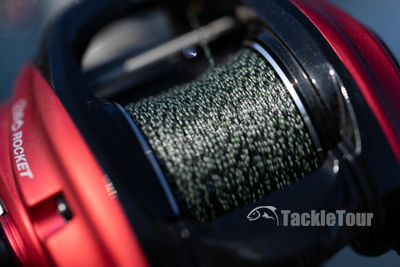 This is the only real fair way to judge impact and knot strength because both of these factors will be greatly affected by how long a particular line has been sitting on your reel and how much action it has seen. Knots seem to hold up well both via clip and tied direct. I fished Finatic's Pro Series braid over several trips during the Fall, landing a good number of fish and subjecting the line to all manner of good and terrible (stopping a cast mid flight) casting and fishing situations. I can't recall a single situation where the line broke on me unexpectedly due to premature wear of the line or knot. Even at just six strands, this line holds up really well. My favorite pairing... Finatic's 50lb Pro Braid in TT Camo, spooled on a Shimano Bantam MGL, mounted on a Gan Craft Ground Trick casting rod. Longevity: As stated above, I fished this line for a good calendar season (Fall/Autumn) but not a full year. Nevertheless, it has held up quite well through six to eight testing trips with none of that fade in color or fuzziness to the line typical of other brands. It still looks new, more or less, in a case where some other braids may show signs of needing to be changed by now. Conclusion: An additional benefit, for those who care about the manufacturing origins of their product, Finatic labels, on the back of their Pro Series Braid boxes, that it is "Braided in America." This leads us to believe the raw material, and possibly the dying process might be sourced off the North American Continent but we do have confirmation from Finatic Tackle that the America portion of that statement is mean to stand for the United States. This could be the reason behind the line's final pricing. Finatic's journey has just begun, and we hope it's a long one. Finatic is a specialized, boutique brand offering their premium performance fishing lines through direct purchase only via their website. It's a model we've seen before with a few fishing lure companies only before the true social media craze that is in the midst of gripping our collective attention spans. 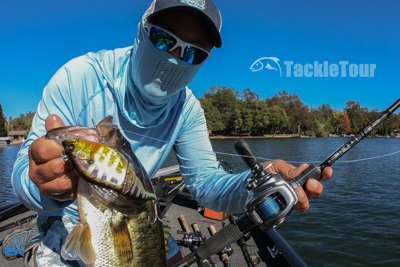 Rather than exposure through tackle store shelves, for now, they are leveraging the power of Instagram, Facebook, and other social media platforms to get the word out. We hope it works, because their Pro Series Braid has held up for us very well, and both Zander and I look forward to using it a whole lot more. Looking for Finatic Pro Series Braid?